Les Arcs 2000 stands higher than any of the other villages in Les Arcs and provides outstanding scenery, incredible runs and exceptional customer service. Situated above the Arc 1950 development, this resort is the perfect place for experts who want to challenge themselves and advance their skills. The local region is full of excellent hotels and apartment buildings, with easy accessibility to the region's best slopes. Along with some of the best runs in Europe, Les Arcs 2000 offers truly breathtaking views of the French, Swiss and Italian Alps from the top of the Aiguille Rouge. The ski season runs from November to April, and snow cannons are used on some of the runs to ensure a great experience all season round for visitors. The most famous run here is the 7km Aiguille Rouge to Arc Villaroger Le Pre, which offers absolutely magical views of the landscape and is sure to be an exciting option for experienced fans of winter sports. Off-piste skiing and advanced runs also await across the region, which is ideal for advanced skiers looking to sample some of the best terrain in Europe. 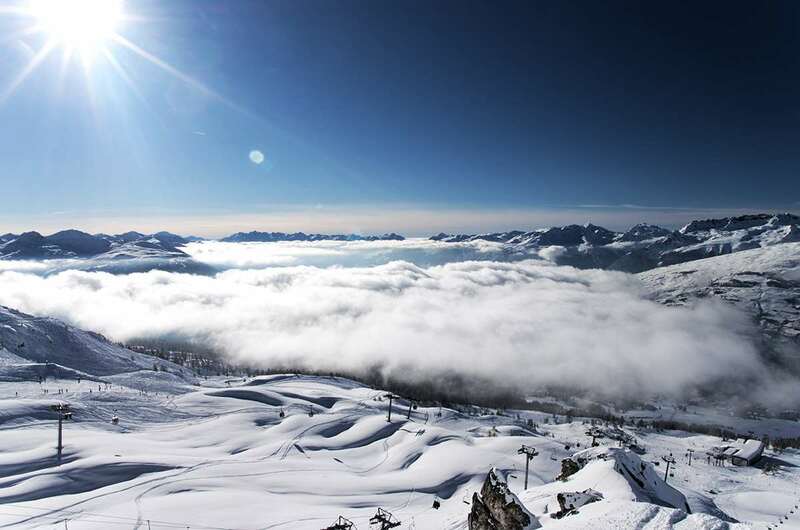 With the efficient transport network, it is also easy for visitors to explore other parts of Les Arcs Paradiski, which has 435km of piste and runs from 1200m to 3250m. With a family-orientated vibe, Les Arcs 2000 is the perfect village for peace and quiet, though there are still excellent bars and restaurants to choose from. The Crazy Fox is one of the most popular pubs in the area and has a cosy, welcoming atmosphere that makes it the ideal place to put your feet up after a day on the slopes. If you’re looking for something a little livelier, Whistler’s Dream is a great option, where visitors can look forward to regular DJ performances and a fantastic atmosphere. 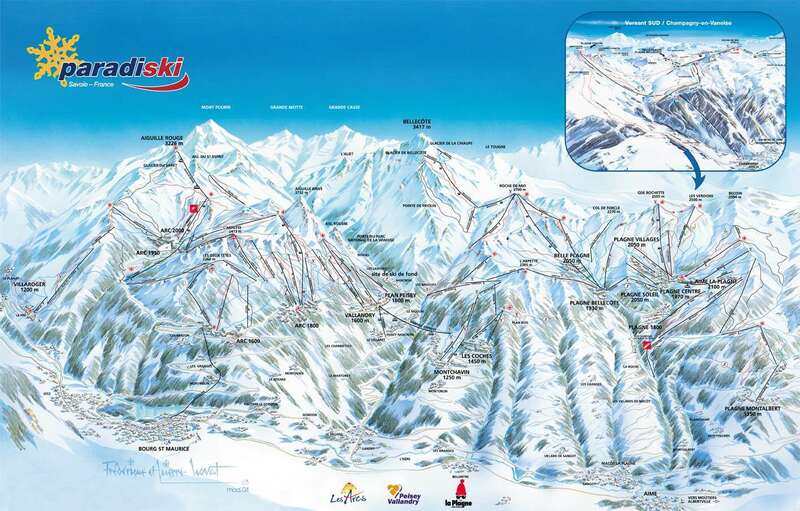 The closest airport to Les Arcs 2000 is Chambery, which is roughly 80 miles away. The journey takes around two hours. Our trip to Les Arcs 2000 during the Christmas week of 2007 was the best skiing week I have had over the last 13 years. The snow conditions were great with well groomed pistes, most of which are very flattering runs. The only day that it was overcast was Boxing Day, for this we decided to use the many runs through the trees at lower altitude and get the benifit of the better snow contrast. Although we found the bars rather noisy, we are not of the youth set any longer. But for the younger skiier the resort seems to be lively enough. All in all a great week was had by all. If there is good snow and the sun shines, this resort is hard to beat. During our week the slopes were deserted which was a joy in itself. The ski hire shops are knowlegeable as well as helpful, a great help with buying new skis. On top of that they gave the skis a very thick coating of wax at the end of the week, and offered to do the same again if and when we came back. I must add that this was a free service. 10 out of 10. I would say &quot;if there is a heaven then this resort must be it&quot;. The snow sure place to be in the Paradiski area is Arc 2000. With easy access to the Aiguille Rouge at 3226m & it's great run into Villaroger at 1200m. Plus the option to do loads of off piste off the back (guide needed) Arc 2000 will cater for all abilities. If you fancy something different there is the water slide run next to the snow park & the boarder cross circuit by the Plagnettes lift. There are some really nice long Blues like Vallee De Arc to get your confidence up before taking on something more challenging. The bowling alley is worth a visit for an evening activity. Night life is limited but if it is skiing you are there for you will not be disappointed. You will get some great views from the Aiguille Rouge it is worth taking a short walk up to the view point to see some of the surrounding ski resorts.